More than a few geological and atmospheric processes have worked in concert over eons — and working still; add erosion, wind, rain, ice to vulcanism, continental drift, along with slight variations brought by changing seasons and climate over the millenniums. Every force of nature has been in play to form the chasm immense beyond words spanning northwestern Arizona the world knows as the Grand Canyon. 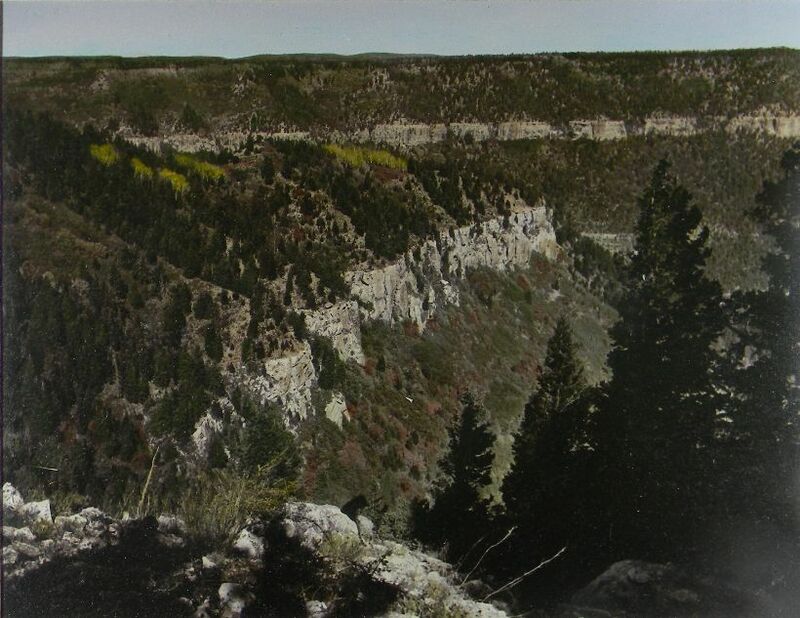 14 x 11 circa 1974 A view into the upper canyon along the North Rim.